As long as I'm dreaming and wishing for now, I might as well dream big. 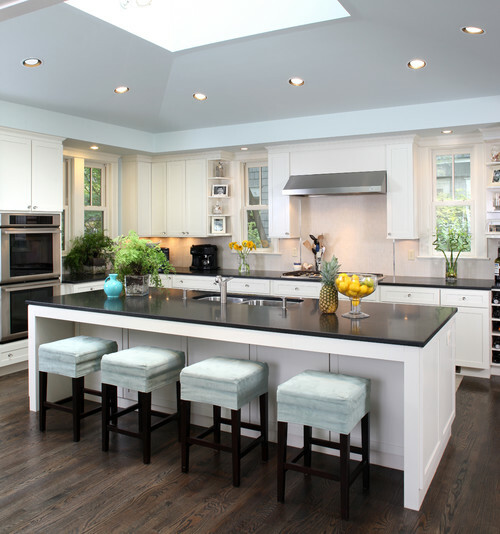 The kitchen is probably my favorite room in a house. My style is a good balance between traditional and contemporary. There are some contemporary pieces that are too far right for me and some traditional ones too far left. So, a good mixture of both makes me happy. Is is sooo ME!!!! i totally love! love the colours too... remaining with a classic touch. beautiful! 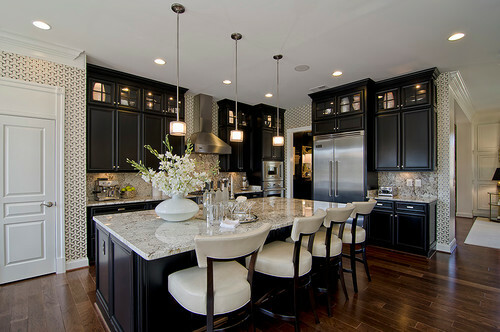 I love that last kitchen look!! 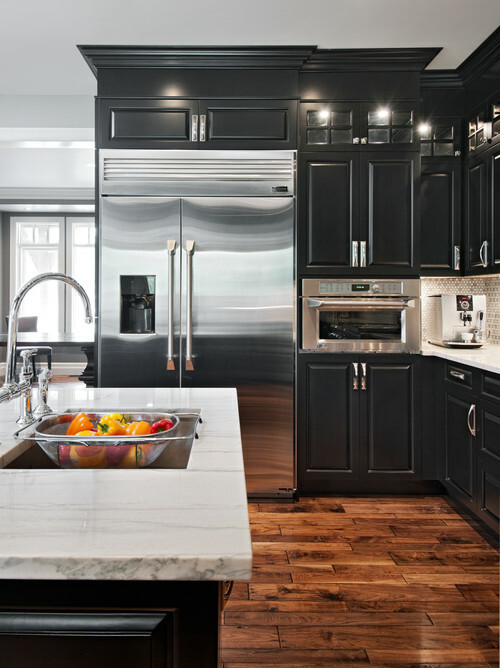 Love the black cabinets, something not so common.